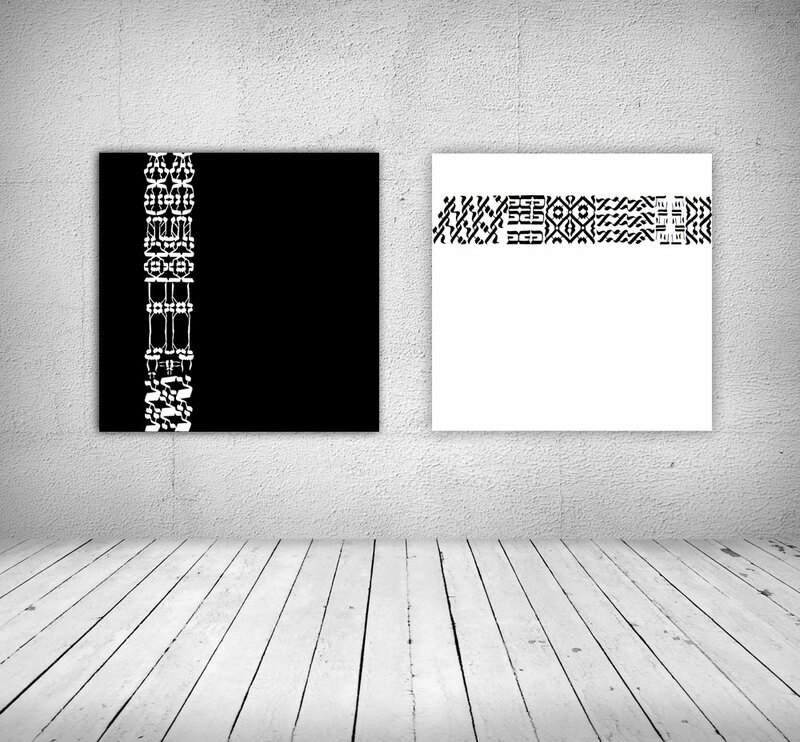 In these two paintings, which are like a single picture, we see fractals made of Hebrew letters: one letter repeated and turned in all directions creates wonderful graphics and geometric themes, which recall the textures of the fabrics and the most refined suitable to multiple uses. 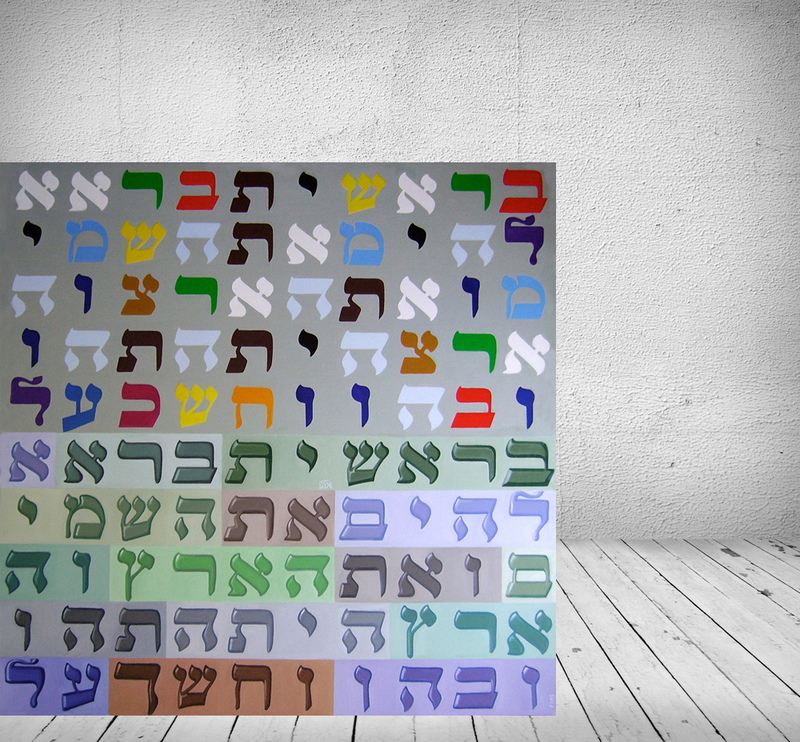 These paintings are not just a pure decoration, but they also reveal to us something of the mystery of the letters of the Hebrew alphabet, they are the archetypes of all the fractals in nature. 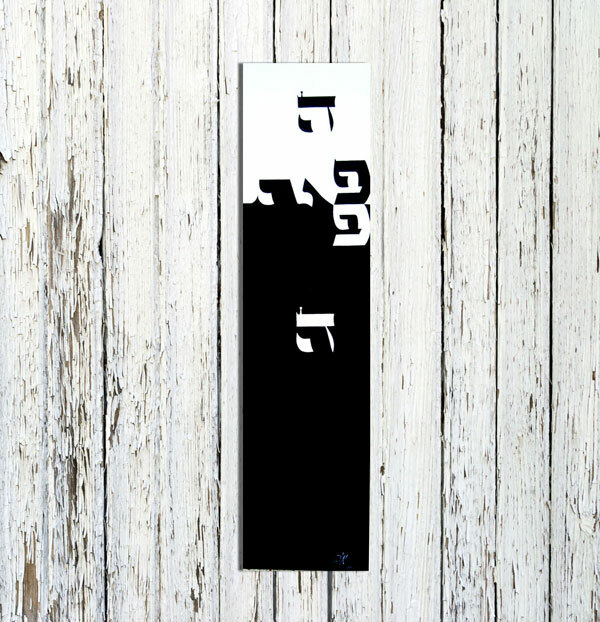 In the Torah is written that Moshe spoke to H” mouth-to-mouth, like a kiss. 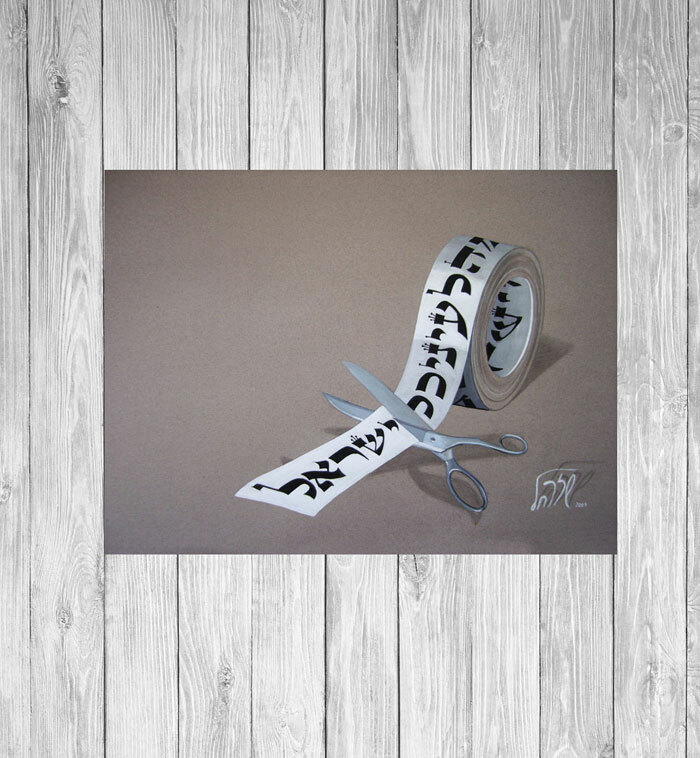 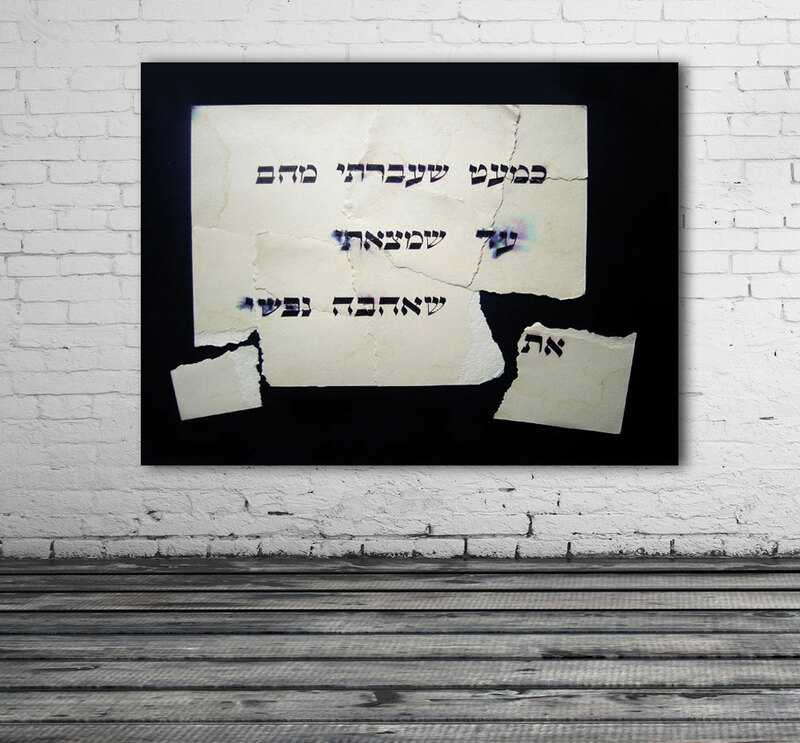 In this picture we see portrayed very complex concepts related to the Kabbalah: the white paper and the black ink are reversed, as in the photographic process where the image is impressed by the passage of light that transforms negative into positive. 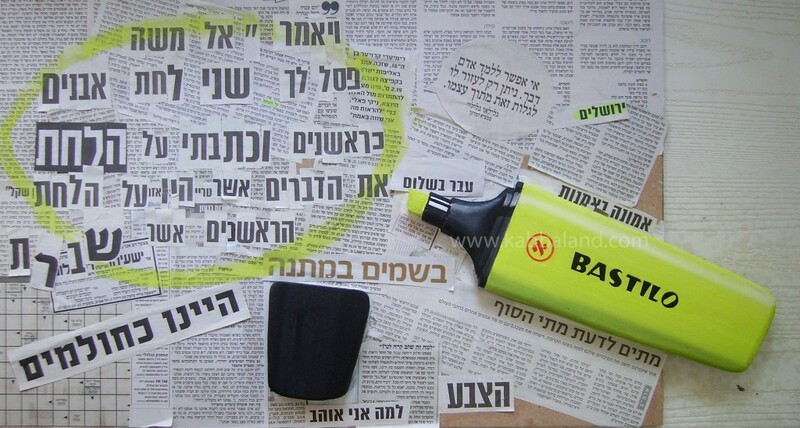 Similarly, the PHE-mouth (which in Hebrew it means mouth and it is also the letter PEH) is imprinted on the sefer Torah paper thanks to the divine light infused as in a kiss.